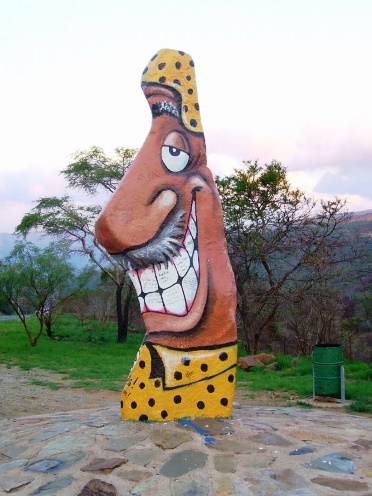 Old Joe Barbas was a Dutch foreman in the original road construction crew that built the road through Schoemanskloof, west of Nelspruit. His larger than life persona lives on through a large rock that his fellow workers named in his honour and was placed on a stone plinth next to the roadside. We unpack the story behind the rock and the role it has played in the kloof. Although Schoemanskloof hosts the very busy R539 route, there are a number of fascinating points of interest and intriguing history that can be enjoyed for those willing to take the time and explore the peripheral features of the kloof. We visit a mountain top golf course on the lip of the escarpment and admire one of Africa's deadliest predators, the Nile Crocodile lower down in the valley. There's a narrow gauge railway that dates back to 1910 and a remarkable story of gangs of labourers that physically pushed the carriages laden with fruit, along the 27 km long line to the nearest station. Few people know about the plentiful Kapok trees in the valley, which is remarkable tree providing a range of uses to man. Read up on Schoemanskloof and next time you ride it, consider it's many attractions. The page is open till Sunday.